Are you new to AASC? Learn the basics of our resources and programs and how to access them, including AASC Online, AASC University and PSC. 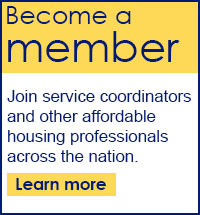 Providing continuing education is one way we support service coordinators. View upcoming webinars for opportunities to learn and earn CEUs. watch and learn: new videos! Do you want to learn more about AASC or share information about service coordination with others? Share our videos about AASC and service coordination! Disclaimer: This information was prepared by the American Association of Service Coordinators. It is proprietary, confidential and protected by applicable intellectual property laws. No part of this website or the materials contained therein may be duplicated or distributed without the prior consent of AASC.